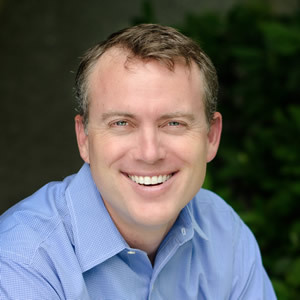 Scott Ellyson is the CEO and founder of East West Manufacturing, an offshore contract manufacturing company founded in 2001 and headquartered in Atlanta, Georgia. Over the past twelve years Mr. Ellyson has made over 80 trips to various regions of Asia. Prior to starting EW, Mr. Ellyson spent two years as the VP of Offshore Manufacturing and Logistics for Diversitech Corp., a leading U.S. manufacturer and distributor of HVAC components and supplies. While at Diversitech, his team produced over 500 HVAC products in Asia. Before that, Mr. Ellyson co-founded ITS Ltd., an EMS manufacturer in Asia that produces automobile components and electronic assemblies. Mr. Ellyson’s career began as a manufacturing and industrial engineer for Boston Scientific, and he also worked for several years as a management consultant for PriceWaterhouseCoopers in their Supply Chain Logistics group, forming his background in logistics, strategy and operations. Mr. Ellyson holds a degree in Industrial Engineering from the University of Florida and has 20 years of engineering and business experience as well as 15 years of practical, hands-on experience in Asian manufacturing. East West was founded in 2001, and is a contract offshore manufacturing solution best described as “Your products…Our factories”. East West is an idea born of success. The executives of East West developed their proven systems to make quality products offshore at DiversiTech Corporation; North America’s largest manufacturer of air conditioning condenser pads and a leading manufacturer of components and related products for the refrigeration and air conditioning (RAC) industry. Those successes form the base of a successful spin-off from DiversiTech’s core company. East West currently produces and distributes over 2,500 industrial products for North American and European companies. EW has offices in Atlanta, Georgia; Shenzhen, China; and HCM, Vietnam and factories in Changzhou, China and HCM, Vietnam. EW’s mission is to maximize their customer’s competitiveness by supplying low cost, reliable, high quality offshore manufacturing services.